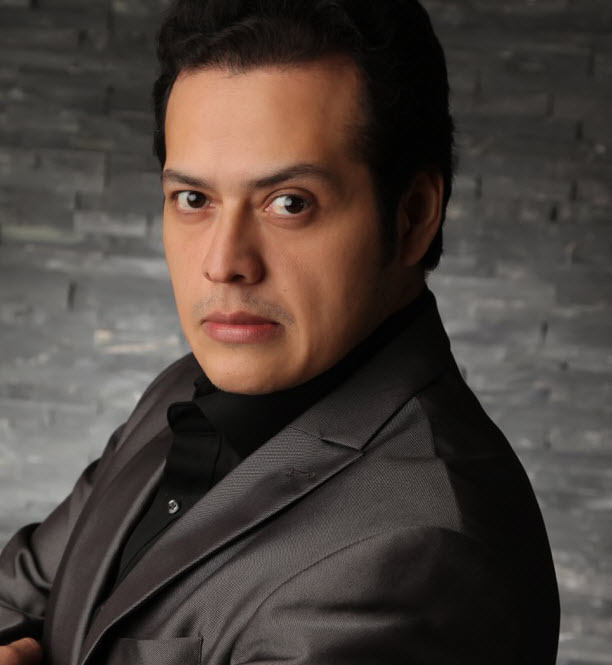 Joel Montero was born in Mexico and initially pursued studies as a conductor before entering the SALZBURG MOZARTEUM to commence vocal studies with Heiner Hopfner in 1999. He is a winner of the Special Prize of the CONCURSO INTERNACIONAL DE CANTO MONTSERRAT CABALLÉ and was offered a position in the INTERNATIONAL OPERNSTUDIOS ZURICH in 2001. 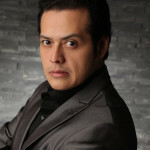 As a contracted artist at the SOUTHERN THURINGIAN STATE THEATRE in Meiningen until 2008, Joel Montero quickly established himself in such roles as The Italian Singer in DER ROSENKAVALIER, Almaviva in THE BARBER OF SEVILLE, Alfredo in LA TRAVIATA, the Sailor in TRISTAN & ISOLDE and the Steersman in THE FLYING DUTCHMAN, as Rossillon in THE MERRY WIDOW, Barinkay in THE GYPSY BARON, Narraboth in SALOME, Count Zedlau in WIENER BLUT, Fenton in FALSTAFF, in the title role of THE TALES OF HOFFMANN, Nemorino in L’ELISIR D’AMORE, Rodolfo in LA BOHEME and Manrico in IL TROVATORE. Guest engagements saw him engaged at the STAATSOPER DRESDEN, by MECKLENBURG STATE THEATRE in Schwerin and at the state theatres including Niederbayern Passau, Coburg, Regensburg, Augsburg, Freiburg and Brandenburg. He was also engaged by the THEATER PRINCIPAL PALMA in Spain, for the role of Jaquino in FIDELIO by TEATRO DEGOLLADO in Mexico and made his first appearances, in the role of Gennaro in Wolf-Ferrari’s I GIOIELLI DELLA MADONNA for OPERA HOLLAND PARK in London. His performances have included working with such directors as Christine Mielitz, Roland Schwab, John Dew, Phillip Stölzl, Adrea Moses, Stefan Tilch, Ansgar Haag, Gottfried Pilz, Jens Pesel, Martin Lloyd-Evans and René Zisterer, and with conductors including Kirill Petrenko, Alan Burbayev, Constantin Trinks, José Maria Moreno, Johannes Wildner, Lukas Meister and Matteo Beltrami. As a principal artist at the STAATSTHEATER DARMSTADT, from 2010 to 2014, his roles included Rodolfo and Hoffmann, Don José in CARMEN, Ismaele in NABUCCO, Edgardo in LUCIA DI LAMMERMOOR, Don Alvaro in LA FORZA DEL DESTINO, Turiddu in CAVALLERIA RUSTICANA, the Drum Major in WOZZECK, Luigi in IL TABARRO and the title role in OTELLO. During 2015 he returned to OPERA HOLLAND PARK to appear as Avito in Italo Montemezzi’s L’AMORE DEI TRE RE. His 2016/2017 season has included the role of Don José in THEATER HOF‘s season of CARMEN in Germany and the role of Don Alfredo Bartos in Kunneke’s LADY HAMILTON for ANHALTISCHES THEATER DESSAU. He has returned to OPERA HOLLAND PARK to sing Milio in Leoncavallo’s ZAZA, performances of which PLANET HUGILL reviewed saying, Montero’s darkly resonant tenor lent substance to the character, … the climactic love duet which concluded Act One sung with darkly passionate tones., while CLASSICAL SOURCE simply wrote, Joel Montero… was extremely powerful., and BACH TRACK saying, Joel Montero, at (his) finest… completely convincing and vocally strong. On the concert platform, Joel Montero‘s recent appearances have included being soloist in performances of Beethoven’s SYMPHONY NO.9, with the BERLINER SYMPHONIKER conducted by José Maria Moreno, at the BERLIN PHILHARMONIE during 2015. During 2017 he has appeared in opera and operetta concerts at the MAX-LITTMANN SAAL in Bad Kissingen and at the KULTUR UND KONGRESSZENTRUM in Luzern. His plans for 2019 include a return to THEATRE HOF to sing the role of Pinkerton in MADAM BUTTERFLY.